Figure 1. Caffeine affects heart rate variability in the first five minutes of recovery after physical exercise. Caffeine is a stimulant often found in coffee, energy drinks, and medicine. Many researchers have analyzed its physiological effects, but caffeine’s impact on post-exercise recovery is not widely understood. Doctor Luana Almeida Gonzaga and researchers from São Paulo State University in Brazil conducted a study focusing on cardiovascular parameters, such as heart rate (HR), blood pressure (BP), respiratory rate (RR), and pulse blood oxygen saturation (SpO2). The researchers desired to estimate caffeine’s influence on autonomic heart rate recovery after moderate exercise. The study involved 40 male participants and was conducted at temperatures between 23 °C and 24 °C and humidity levels between 60% and 70%. The study’s first stage involved maximum effort tests to determine appropriate exercise intensity levels. Each participant was randomly given a 300-mg caffeine capsule or a placebo. Initial measurements of HR, BP, RR, and SpO2 were taken while the men were lying face upwards. Heart rate variability was registered while participants exercised on a treadmill and completed 25 minutes of appropriate workload. During the recovery period, cardiovascular parameters were monitored for over an hour to determine the effects of caffeine. Heart rate variability (HRV) was used to quantify autonomic heart rate balance. 17 men were given the caffeine capsule and 15 men were given the placebo. After analyzing the data, the researchers found no differences in SpO2, HR, and RR between the control group and the experimental group during the post-exercise period. When the data was assessed through HRV indices, significant differences in the caffeine protocol were observed between initial rest and recovery periods. Most deviations were found within data concerning the first five minutes of recovery. After physical activity, the HR decreased in a mono-exponential way, suggesting the first minutes of recovery could predict mortality. 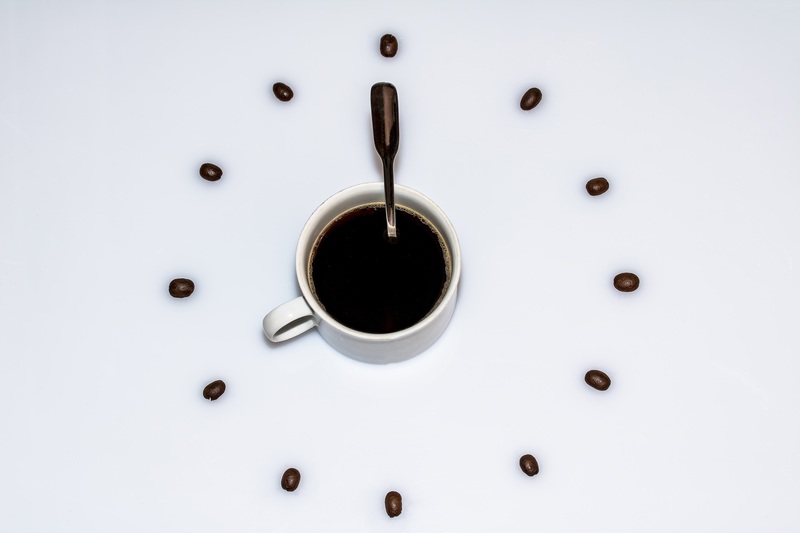 The researchers implied that caffeine could delay the parasympathetic component recovery of autonomic heart rate control in the first five minutes after exercise. The study was limited to young healthy males, and the results could not be applied to females due to caffeine metabolism changes during menstrual cycles. Nevertheless, the study’s results provide possibilities for further exploration of caffeine’s effects on human activity and recovery. L. Gonzaga, et. al., Caffeine affects autonomic control of heart rate and blood pressure recovery after aerobic exercise in young adults: a crossover study. Scientific Reports 7, (2017). doi: 10.1038/s41598-017-14540-4.